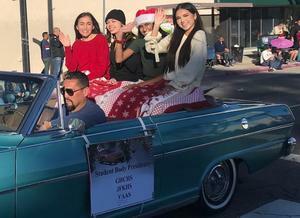 Sunday, December 2 was the 35 annual Granada Hills Holiday Parade. 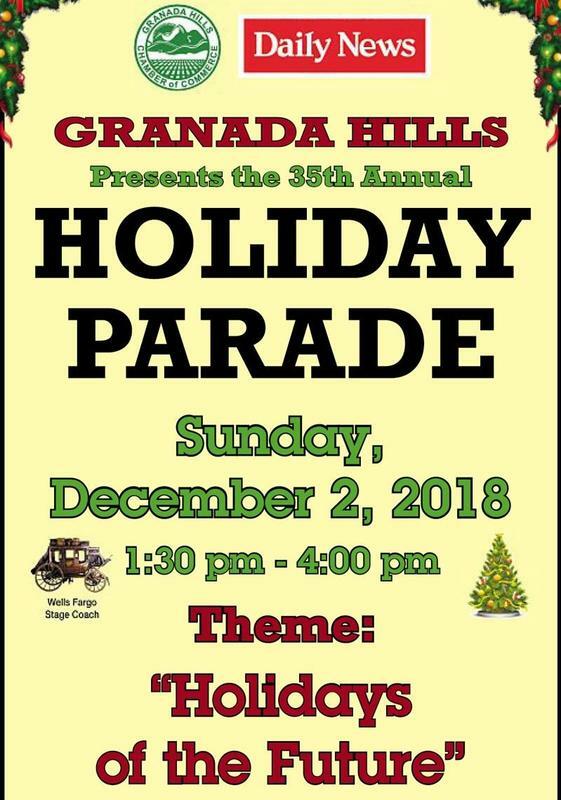 The theme was, “Holidays of the Future”. 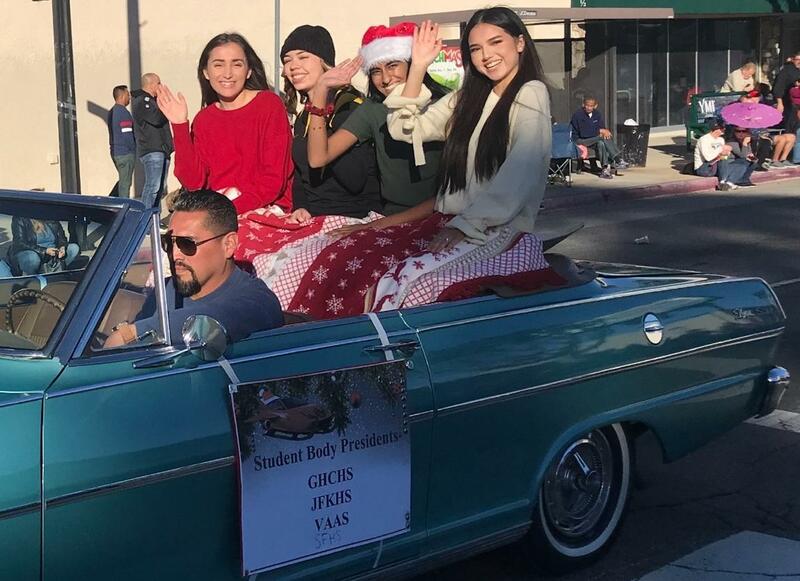 Kennedy ASB President Sandra Zambrano rode with other ASB Presidents from Granada Hills High Schools to represent our leaders of the future. 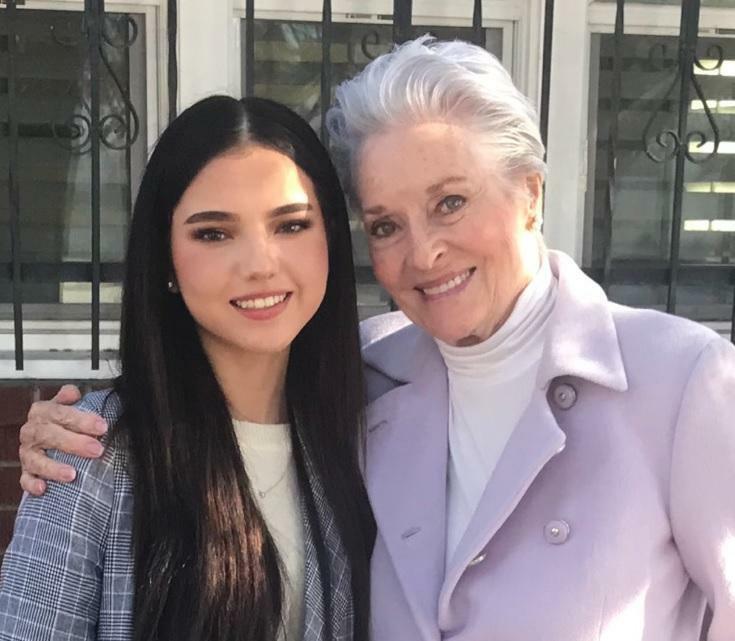 Sandra met the Celebrity Grand Marshall Actress, Lee Meriwether: former Miss America, Catwoman, Lily Munster, and Granada Hills resident. 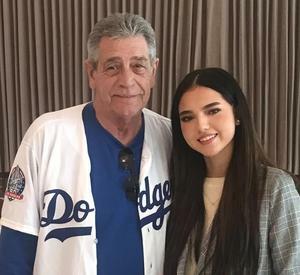 She also met Stephen Yeager: former Dodger catcher, Co-MVP of the 1981 World Series, and Granada Hills resident.